This Father’s Day, skip the gift cards. Don’t even think about wrapping up a coffee mug. 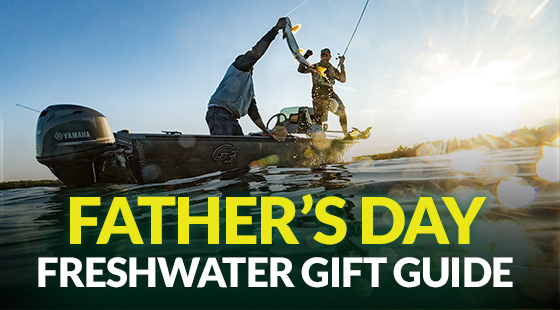 Instead, surprise Dad with an unexpected day on the water, complete with can’t-miss gifts from Rapala®, the most trusted name in fishing for more than 80 years. For the angling-obsessed Dad, there are few better ways to show your appreciation than taking the old man out on the water for a day of fish-catching fun, relaxation and family bonding. He’ll be blown away when you break out the latest and greatest new fishing gear to make the day complete. From the lures and line responsible for catching more world-record fish than any other brand to tools, accessories and stylish yet functional apparel, Rapala & Respected Brands offer the perfect gifts to round out Dad’s angling arsenal. Here are some ideas from Rapala and Respected Rapala Brands to make his special day the most memorable yet. Help Dad hoist his next trophy catch with the new RipStop, the exhilarating, fast-ripping, hard-stopping bait from Rapala. The RipStop’s one-of-a-kind design creates a versatile lure with a fast, flashing swimbait action and forward motion that stops on a dime thanks to the bait’s innovative boot-tail. A proven terror for bass and other popular gamefish, the RipStop’s strike-inducing prowess is on full display as it presents a subtle shimmy before coming to a rest, then ever-so-slightly lifts its head with a super-slow rise, perfectly mimicking the movements of popular forage species and inviting behemoth bass in for an easy bite. The RipStop comes with two VMC® Black Nickel Fine Wire Hooks, measures 3-1/2 inches long, and is available in 14 dynamic color patterns. Cast and wind, wind and stop, twitch, snap, rip and suspend … No matter how he fishes it, the RipStop will give Dad goose bumps. 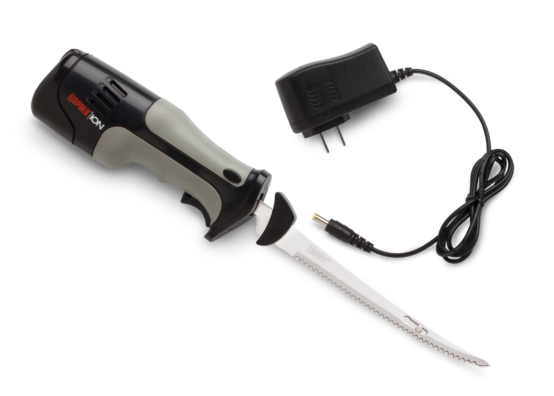 Put Dad in the driver’s seat for uncompromised, reliable fish filleting with the Rapala Lithium Ion Cordless Fillet knife, providing 80 minutes of continuous run time without any loss of power. This knife’s comfortable, relaxed grip provides fatigue-free filleting, while the advanced air-flow body design keeps the knife’s powerful, long-lasting engine running cool. Included is a 7-inch reciprocating-style blade that’s perfect for most filleting needs. The dynamic Rapala Lithium Ion Cordless Fillet features a direct 110V plug-in charger that reaches full charge in less than two hours — about the time it’ll takes you and Dad to land your limit and prep an unbelievable shore lunch. This year, let Dad strut his stuff in new threads that offer comfort, style and functionality from Rapala and Respected Rapala Brands — perfect for lookin’ good in all those photos with big fish he’ll catch with your other Father’s Day gifts. On or off the water, when it comes to Rapala, performance is the name of the game. Choose from a wide range of premium items including T-shirts, long-sleeve shirts, sweatshirts, hats and more, all designed to help him rock his style anywhere. 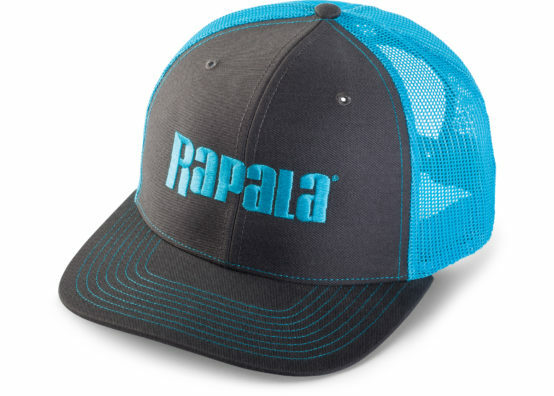 New for 2018, Dad will go nuts for a Rapala Patterned Snapback Trucker Cap. These stylish caps come with a breathable mesh back for added comfort and are available in four popular camo patterns ideal for any outdoor enthusiast. Give Dad the ultimate confidence lure with the Storm 360GT Searchbait, designed to be fished anywhere by anglers of all skill levels. Fishing the 360GT Searchbait couldn’t be easier. The old man can simply cast it out and reel it in with a steady retrieve to enjoy bite after thrilling bite. No overthinking. No fuss. The bait is equipped with an exclusive VMC® Coastal Black™ hook featuring extended “leg” on line tie to further enhance the bait’s lifelike action. Easy to rig, the 360GT body features a handy hook channel and well-marked exit hole to ensure Dad can cover as much water as possible during precious days on his favorite honey hole. It is available in 3-1/2, 4-1/2 and 5-1/2 inch models and 11 color patterns that perfectly match regional forage. All Dad needs to do is tie on the 360GT Searchbait, hang on tight and be ready for major action. Stop by your local sporting goods store or visit rapala.com to purchase these Father’s Day gifts. Be sure to check out Rapala on Facebook for special offers, tips and techniques, new product updates and much more. This entry was posted in News, Rapala, Storm. Bookmark the permalink. Do you offer any military discount ? Hello: Please explain to me why some Rapala lures are available only in European markets and are not available in the American market. Thank you.